Connect the signature pad as a scanner. Use the Pen-Pad like a scanner! You do not need to change the application you are for scanning today. 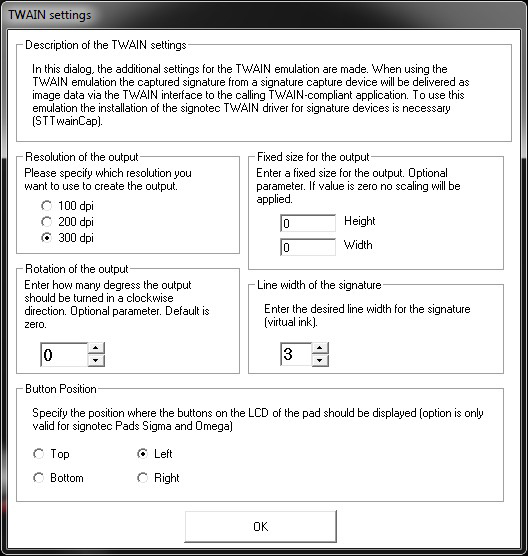 The Twain- or Wia-interface allows a Pen-Pad to be connected like a normal scanner. No modifications at all are required to the scan applications. 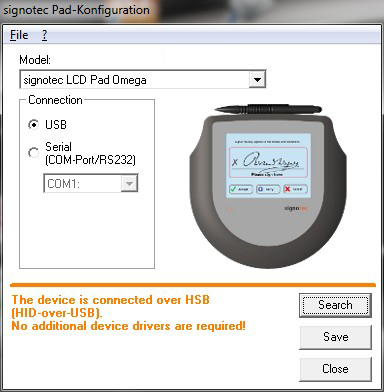 The driver comes free of charge for our Sigma and Omega pads! Change the resolution from the image: 100, 200 or 300 dpi. Line width from the signature image. Position of the buttons on the signature pad. Fixed size of the signature image or croped image.